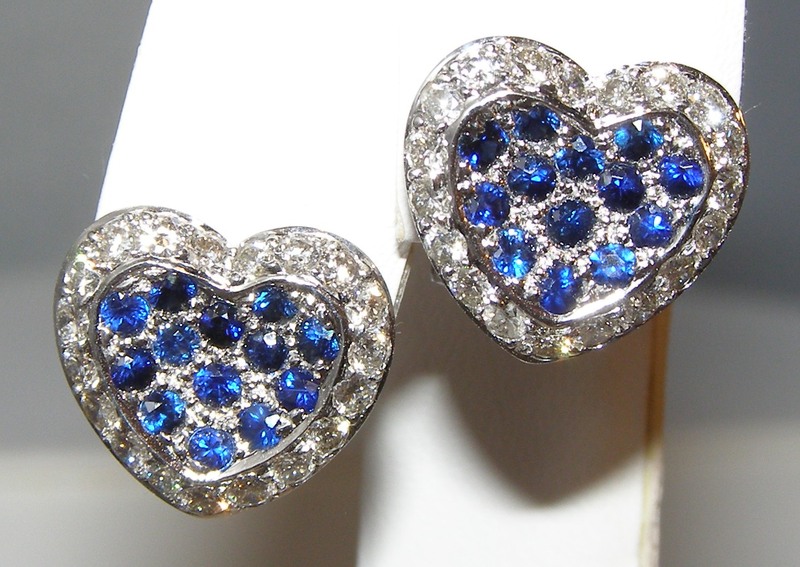 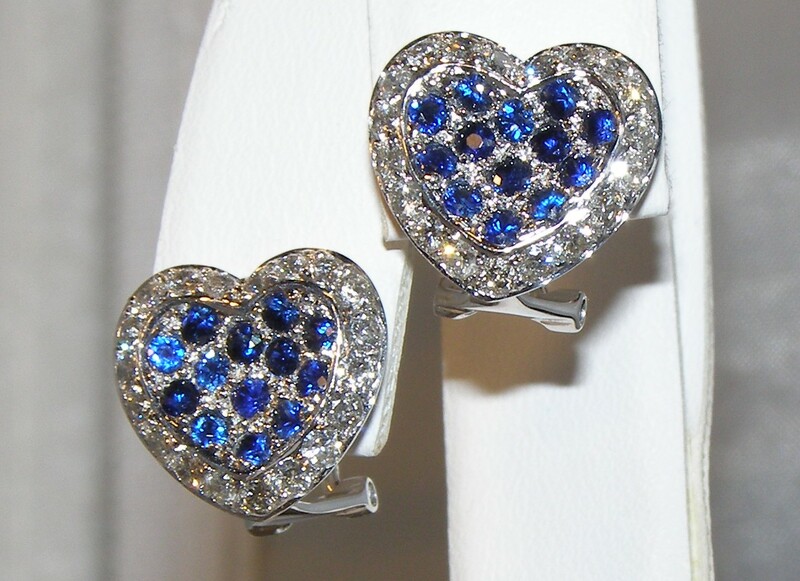 Simply breath-taking blue and white brilliance emanates from these designer 18K white gold heart shaped earrings. 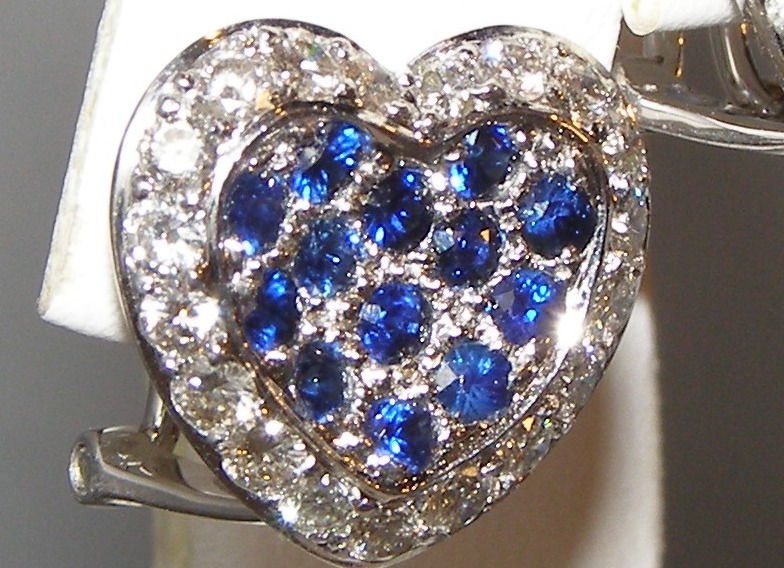 Highly rated AAA+ diamond cut Ceylon vivid blue sapphires are elegantly pave set within an outline of pave set round brilliant white diamonds. 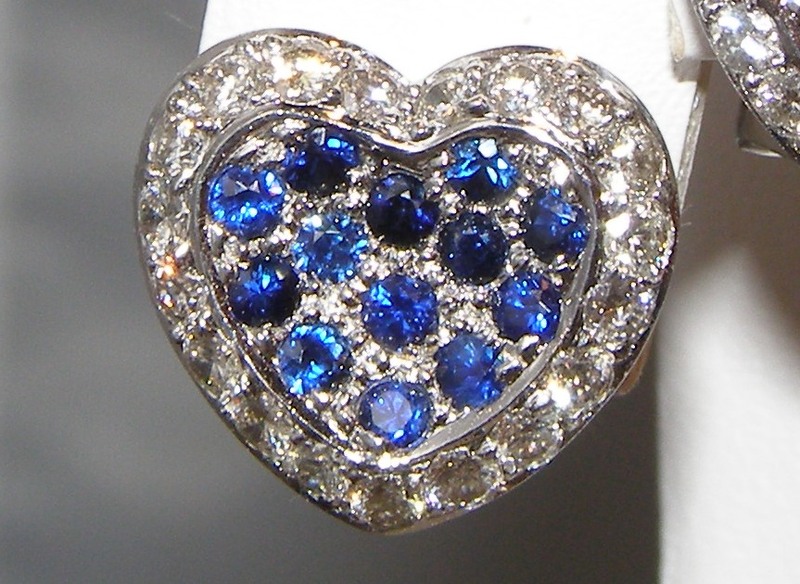 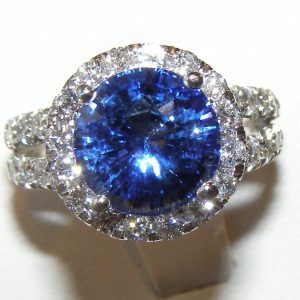 In total there is 1.00 carat of Ceylon blue sapphires, and 1.02 carats of brilliant VS1 clarity and GH color diamonds. 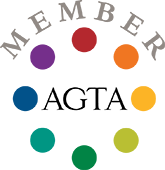 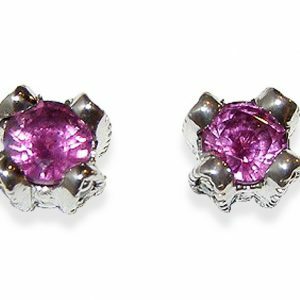 Each of these stones was carefully selected to form a matching suite and they have excellent clarity, cutting, color and brilliance. 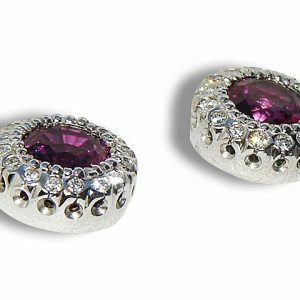 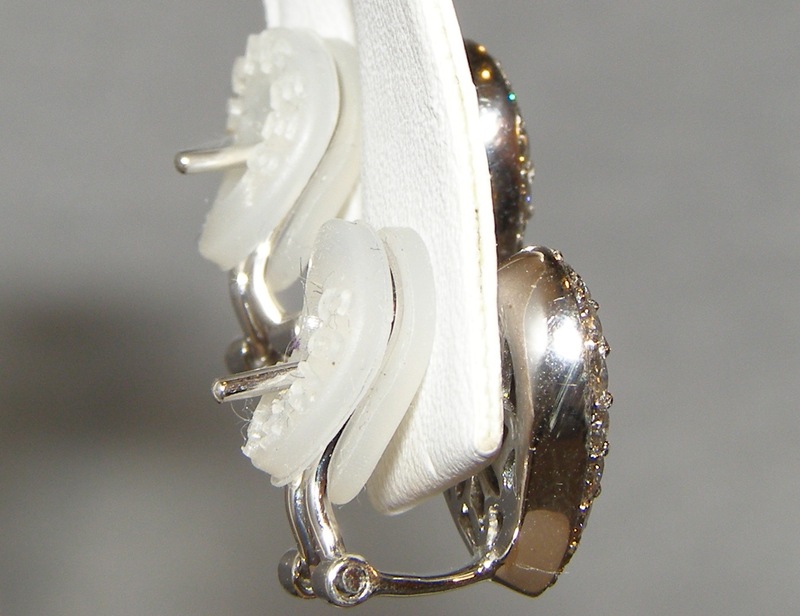 The earrings feature omega backs (very comfortable), weigh 6.7 grams and dangle 13.8 mm or just over 1/2″ in length. 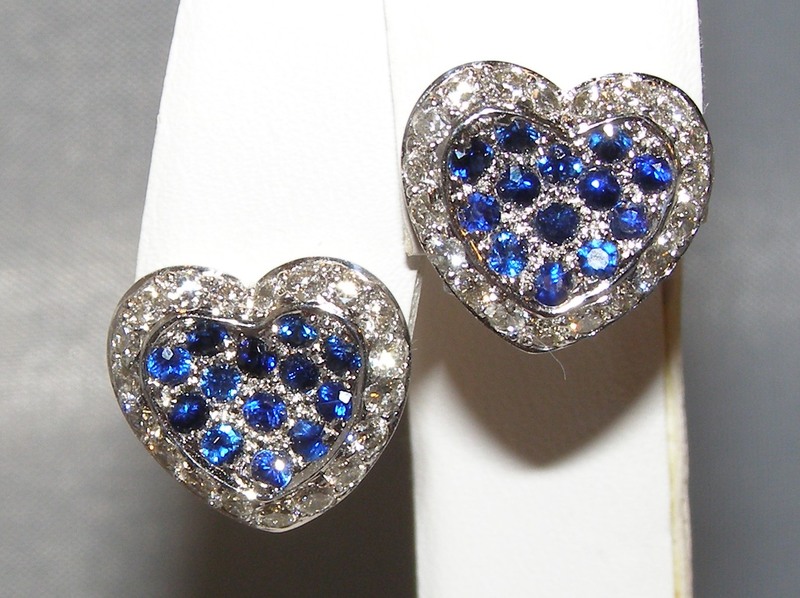 This is a beautiful pair of earrings perfect for dressy or casual wear.